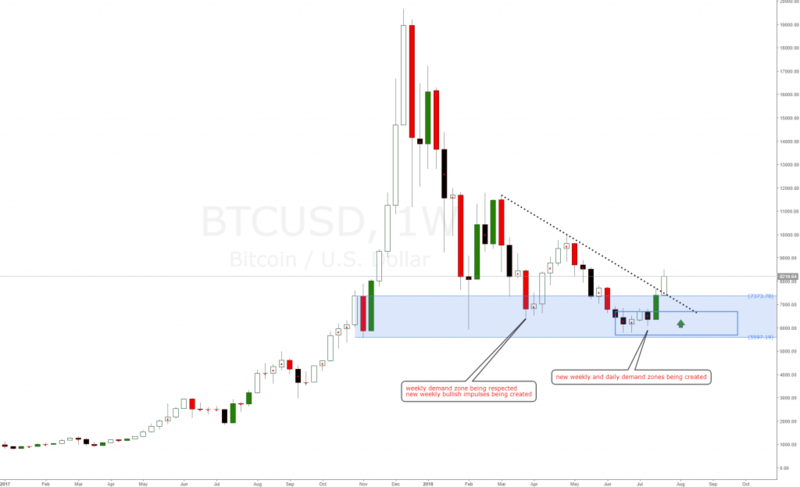 BitCoin crypto currency has a strong weekly demand zone in control and being respected, there is a clear monthly uptrend and long term long bias after such a strong expection correction. There is a new weekly bullish impulses being created with new daily demand levels within. Clear long term long bias on BitCoin. 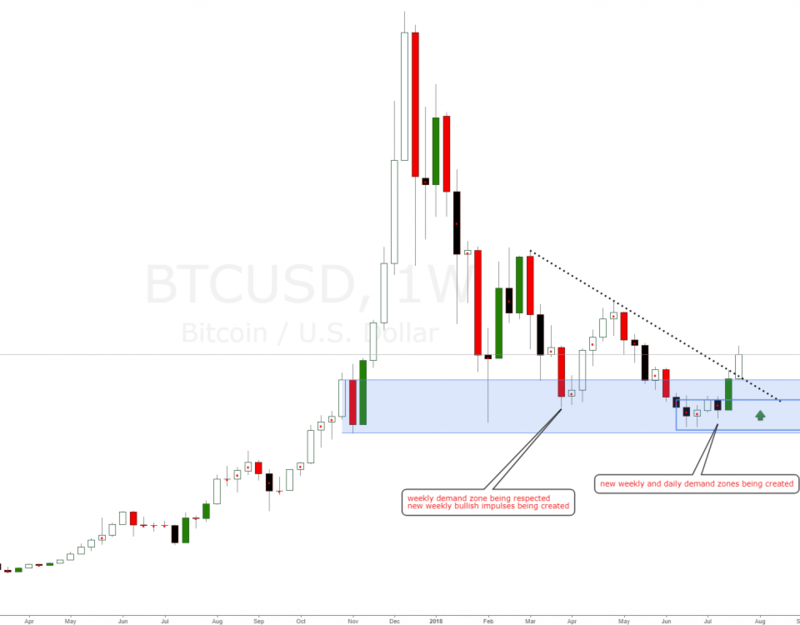 Bitcoin long term technical analysis based on supply and demand imbalances. 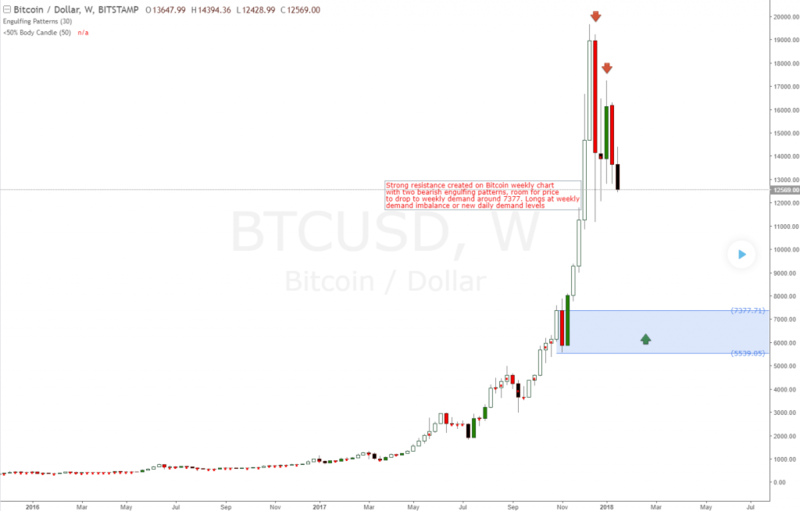 Longs at weekly demand level around 7377. 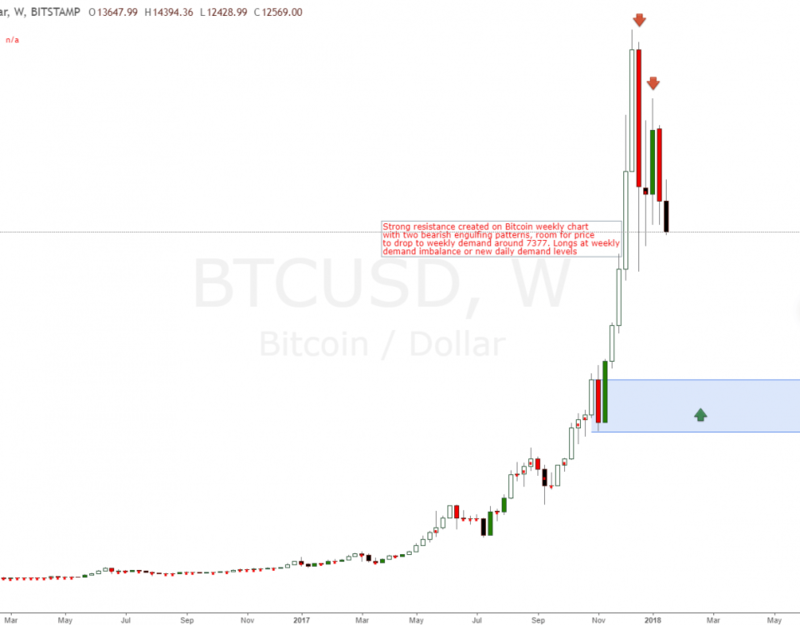 Strong resistance created on Bitcoin weekly chart with two bearish engulfing patterns, room for price to drop to weekly demand around 7377. Longs at weekly demand imbalance or new daily demand levels.